Most people see a blog as being a place to communicate their thoughts and ideas with the world. There are tens of millions of blogs out there but most of them are in a virtual wasteland, unnoticed and unseen by the masses. Unless you’re keeping a blog as basically a personal diary strictly for your own use to record your day to day thoughts, the motivation for every blogger should be to become an authority in their space or niche. When you dominate any niche, the benefits are enormous. Why simply tell or show people how to do something for free? Why not get paid for it? Or in many cases as evidenced by numerous successful bloggers, get paid A LOT for it? A blog is no longer a place to tell the world your thoughts or feelings. It’s a place where your content can be liked, shared and even ranked to a level where the entire world can hear your voice. And when you have a tremendous and captivated audience, your money making potential is basically unlimited. 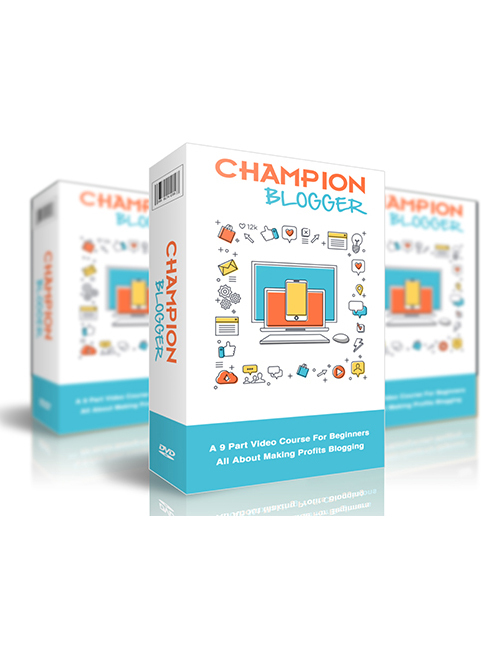 In this 9 part video course, you’re going to discover how to really create and run a powerhouse blog that gets people coming in droves and also monetizing your content so you get paid. We’re talking life changing revenue, not just a few bucks here and there.